Image courtesy of Case Design Inc. 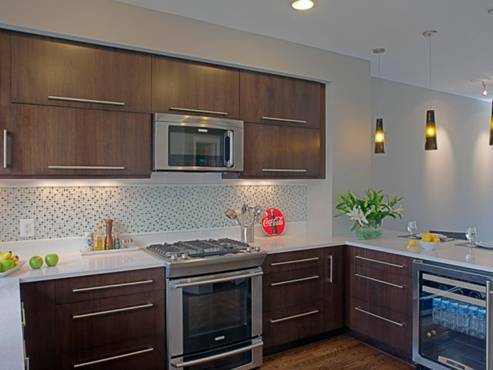 There are a numerous factors to consider when choosing cabinets for a kitchen remodel. Style, function, design, and finish all impact the final space and the way a kitchen flows, both aesthetically and functionally. And these days we’re not just talking about the cabinet box itself, but also the shelving system inside. From style to function, this list gives you some of the main considerations to make when choosing new kitchen cabinets for a custom kitchen remodeling project. Choose a cabinet style and finish. Cabinets take up a lot of surface area in the kitchen, so they play a large role in determining your kitchen’s style and color scheme. You’ll want to blend your kitchen’s aesthetic with the rest of your home, especially if your home has an open floor plan. 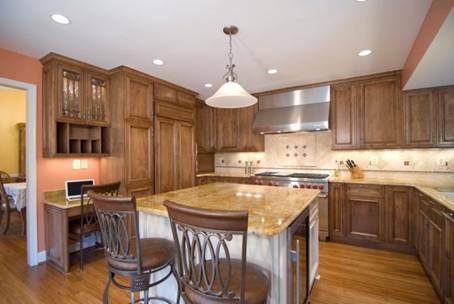 · In a traditional kitchen, choose detailed cabinetry with a rich finish. 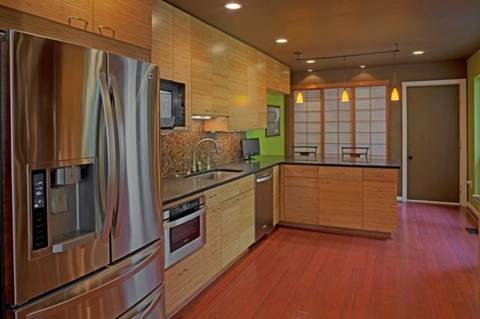 · In a modern or contemporary kitchen, choose a flat-paneled cabinet to create sleek surfaces. · Adaptable shaker-style cabinets can go either way, depending on your finish and hardware choices, making them perfect for a transitional kitchen. Choose your cabinet finish alongside your other main materials. Pick a finish that either matches or contrasts the floor, cabinets, countertops, or backsplash, to create texture and contrast with different materials. Choose doors or drawers for floor cabinets. Image courtesy of CaseDesign Inc. Cabinet doors hide the shelving inside, while drawers act as self-contained cabinets. While most kitchen designs contain both, drawers offer the convenience of a single step process, while doors are a two step process: open the door, then pull out or access the shelf. Kitchen cabinet corners used to create wasted space, but with modern innovations corner cabinets are becoming storage workhorses. To eliminate blind-corner cabinets, look for corner-cut drawers, dual-hinged doors, tiered pullout shelves, and rack-style lazy Susans. Consider an island or peninsula. A kitchen island or peninsula dramatically changes your kitchen’s layout and adds additional cabinet storage. Both features can help improve the kitchen work triangle—the proximity of the sink, stovetop, and fridge. · Islands. Islands add another set of cabinets for additional storage. Turn an island into the room’s focal point by choosing a cabinet finish that’s different from the floor and wall cabinets. · Peninsulas. 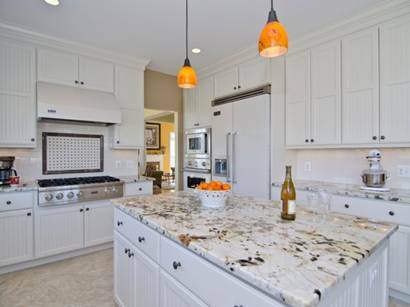 Peninsulas utilize additional floor space by extending the cabinets in an L-shape. Add clear floating wall cabinets above a peninsula to create even more cabinet storage and maintain an open feeling in the room. A convenient, in-kitchen pantry can be created inside floor-to-ceiling cabinets or roomy pull-out cabinets. Integrate either one into the wall cabinet design near your kitchen’s stovetop and prep space. Stacking appliances or moving some of them to an island or peninsula can help create room against a wall. Every kitchen needs an invisible waste management system, so a kitchen remodel is the perfect opportunity to integrate trash and recycling bins into the cabinets. Pull-out waste bins located next to the sink rather than below it are making it easier than ever to separate waste items. About the Author: Joaquin Erazo, Jr. is senior vice president of Marketing and Public Relations for Case Remodeling and Design. He writes about a variety of affordable DIY kitchen and bathroom upgrades, home remodeling trends, and home improvement topics on his company blog, Remodeling Tips & Trends.